90 Day Fiance’s Ricky Reyes has been making a lot of life changes lately. After the controversy that arose during and after his season of 90 Day Fiance: Before the 90 Days, Ricky seems determined to make amends and be a better person. He issued a public apology on Instagram a while back. He apologized to Ximena Parra and wife Natalia. Not everyone buys his remorse act. However, he recently shared his weight loss journey and hinted at a possible new woman in his life. What’s the scoop? 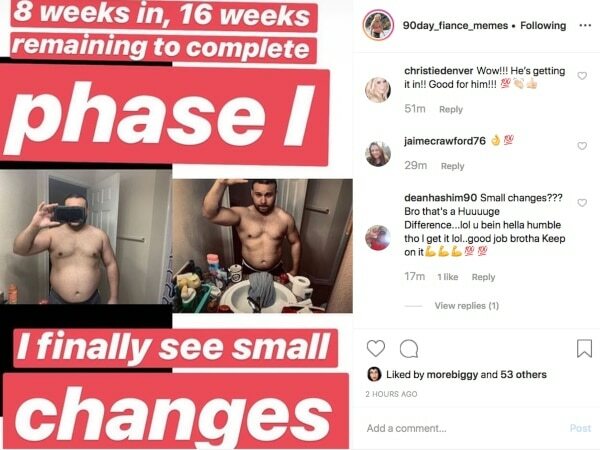 For a few weeks now, 90 Day Fiance Ricky Reyes has been updating fans with his progress. Along with numerous gym selfies, he shares healthy recipes and life updates. Most recently, he shared his latest weight loss milestone. Currently, he’s in the eighth week of his regimen with 16 weeks remaining. There isn’t an update as far as numbers are concerned but there’s a visible difference in the before and after pics Ricky shared. 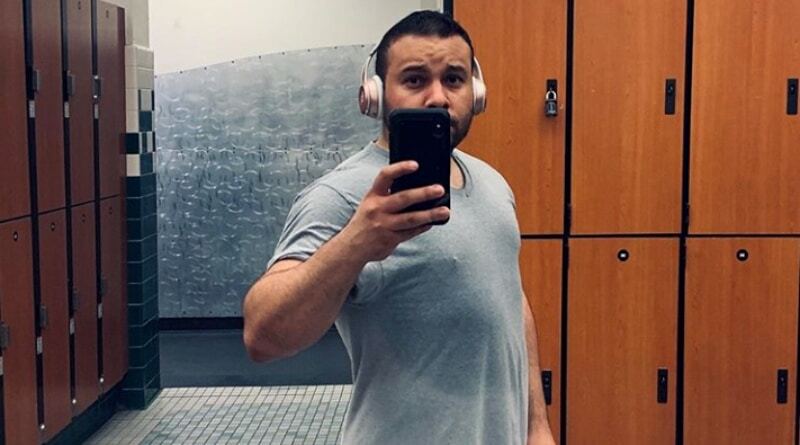 90 Day Fiance viewers can see that Ricky has lost a significant amount of body fat. In addition, his figure looks significantly more toned and shaped. Whatever the number on the scale ultimately is, it’s clear that everything he did in the last eight weeks is paying off. Even though Ricky Reyes is reaping the rewards now, things haven’t always been easy. A few weeks ago, the 90 Day Fiance star voluntarily checked himself into a mental health clinic because he wasn’t feeling well. While there, he had limited access to his phone and social media. He didn’t stay long, but it was a significant development when the news initially broke. 90 Day Fiance: Does Ricky Have a New Woman? Ricky Reyes hinted in the past that he had a date. It turned out to be a father-daughter date at the movies. At that time, he was also rumored to be involved with fellow 90 Day Fiance cast member Cortney Reardanz. Those rumors didn’t seem to pan out, though. A recent IG post suggests that Ricky is gearing up to enjoy the Austin nightlife with his new body and a potential new woman on his arm. Ricky Reyes shared that he may finally have a date. Right now, it’s unknown who this mystery date is. It certainly looks like dropping the weight has given Ricky a significant confidence boost. Perhaps 90 Day Fiance viewers will see him soaking up all that Austin has to offer. 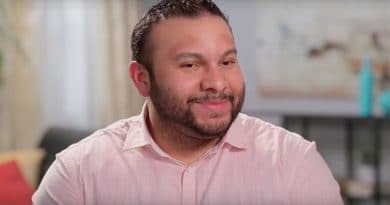 Many 90 Day Fiance fans will never forget what Ricky Reyes did to Ximena Parra and what he did to extend his 15 minutes of fame. With all that in mind, it seems Ricky is doing his best to put as much of that behind him as he can. Some things can’t be fixed, but perhaps dropping the pounds is a symbolic way to let go of the person he used to be and the pain he caused. The way things look now, Ricky definitely seems to be putting in the effort to be a better person – and he has the body to prove it. Come back to Soap Dirt for up-to-date 90 Day Fiance news.